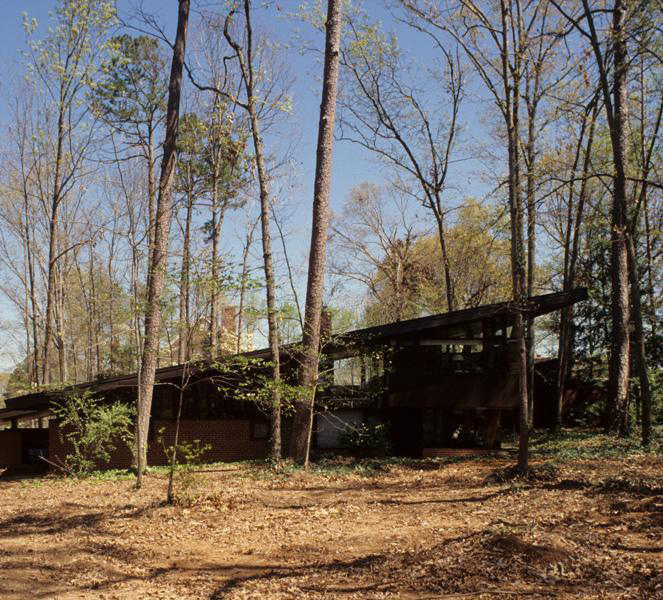 The Fadum House, designed in 1949 and completed in 1950, is the first modern design privately executed in Raleigh. 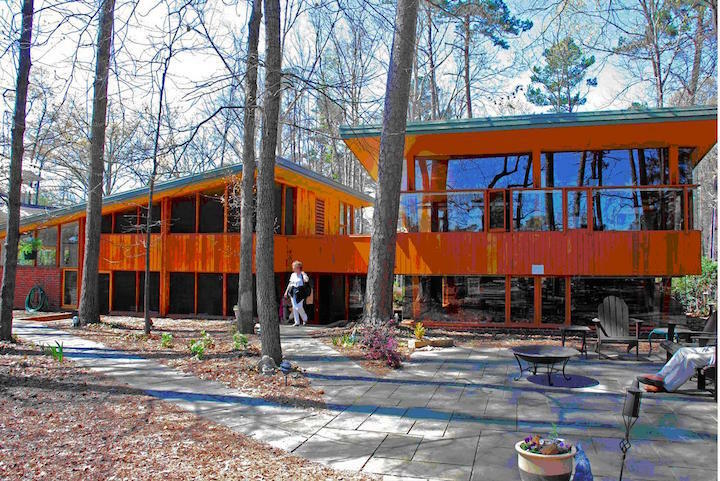 This was the first house in Wake County to use structural wood columns to support a double-cantilevered roof truss grid, which shelters the living space within the brick and glass curtain walls. 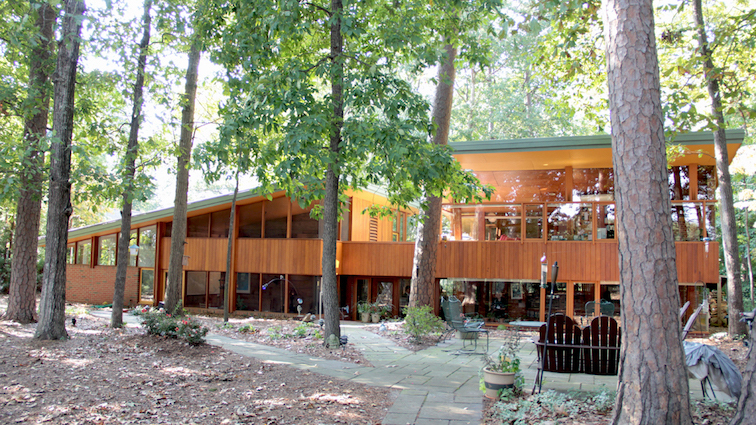 It was recognized in 1951 by Architectural Record as one of its houses of the year. Duncan Stuart, associate of architect James W. Fitzgibbon, drew the plans of the house. A substantial and complementary addition designed by Brian Shawcroft was completed in 2006. Private residence. Fadum House, 2010: With addition. Image courtesy of D. Strevel, Capital City Camera Club. Fadum House, 1980s: Image by Michael Zirkle Photography, copyright Raleigh Historic Development Commission. Fadum House, 1992: Image courtesy of the North Carolina State Archives. 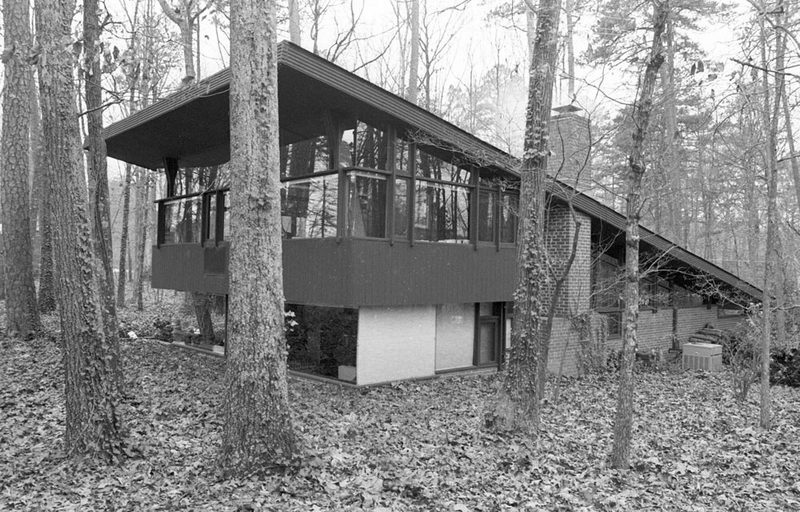 Fadum House: Image courtesy of Capital Area Preservation. 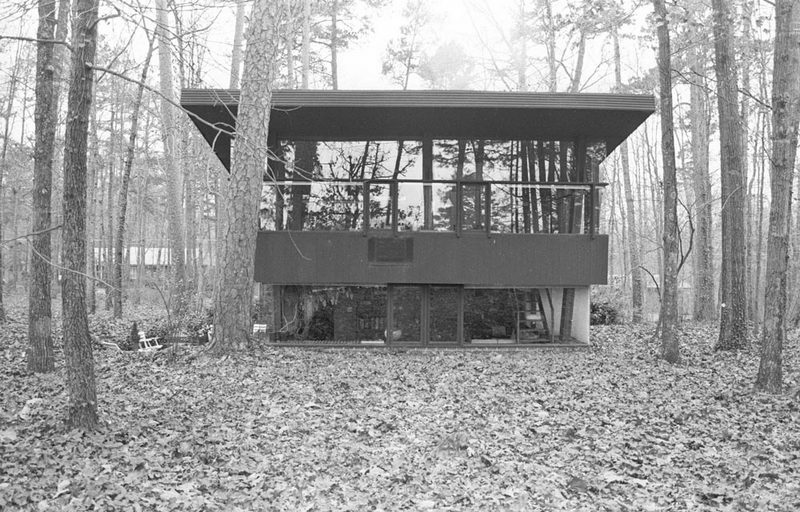 Fadum House: Image courtesy of NC Modernist. 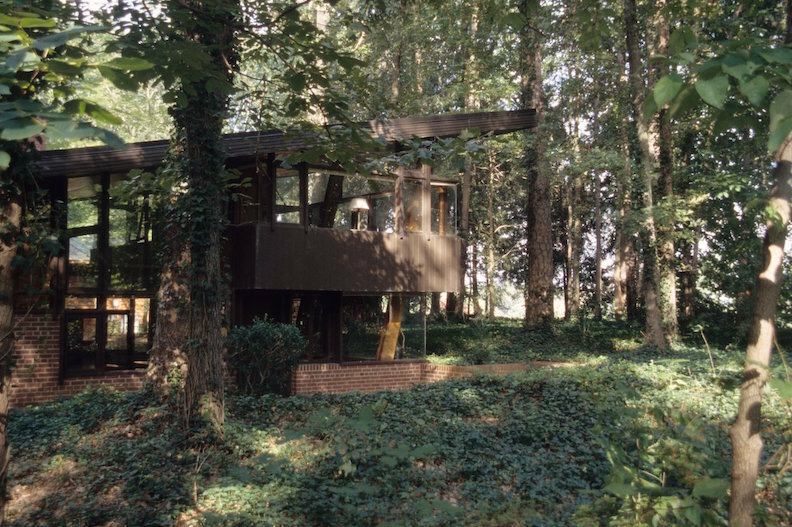 Fadum House, 2003: Image courtesy of Preservation North Carolina. RHDC, “Fadum House,” Raleigh Historic, accessed April 20, 2019, https://raleighhistoric.org/items/show/151.